Tämä tuote on lisätty keskiviikkona 01 elokuuta, 2018. AG15 on erilaisiin ruiskutuksiin soveltuva drone. Sen erittäin tarkka RTK-GPS järjestelmä, tarkat suuttimet ja niiden ohjaus, sekä potkuripaine tekee ruiskutuksesta erittäin tarkkaa. Reittisuunnitelmalla tämä drone ruiskuttaa isotkin pellot täysin automaattisesti ja huipputarkasti. Sähkö-bensa hybridinä tällä on jopa 2 tunnin lentoaika. Jopa 35kg hyötykuorma. Ota yhteyttä hintaa varten! The AG15 uses advanced gasoline engine and generator integrated power supply technology, combining the advantages of oil and electric, the maximum flight time of full oil is 120 minutes, and it is 4 times of the pure electric multi-rotor drone. 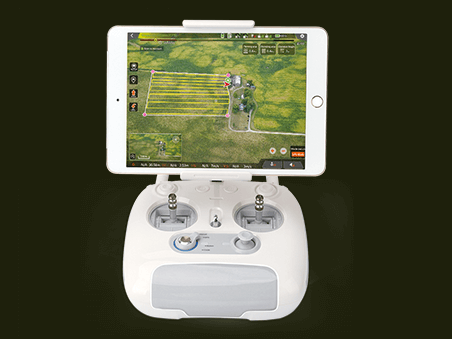 The AG15 agricultural drone is equipped with a high precision navigation and positioning system. With a new generation of base stations, the positioning precision can reach a centimeter level. The dual antenna technology has powerful anti magnetic interference ability and can fly steadily in the complex environment. It has the ability of industrial water proof, dustproof and corrosion prevention. It can effectively block the permeation of drug fog caused by spraying, adapting to the harsh field environment, having high strength, low maintenance cost and long life. The use of powerful motor and carbon fiber propeller not only provides strong power for the drone, but also produces strong downward pressure wind field. 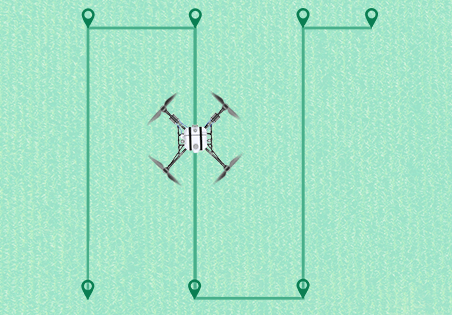 The professional windproof sprinklers which under the blade can effectively reduce the drug fog to be rolled up by the rotor airflow, so that the spray penetration is stronger, the coverage is more uniform, the spraying effect is improved, and prevent the drug fog existing on the drone body to make sure the drone’s safety to the pilot. The use of high-power motors and carbon fiber propellers not only provides strong power for the body, but also produces a powerful downward pressure wind field, acting on the professional wind-proof nozzles below the blades, effectively reducing the drug mist being rolled up by the rotor air flow and allowing the spray of medicine mist to be sprayed. More transmissive, more uniform coverage, improved spray effect, and can prevent the residual body fog, to ensure the safety of drone contact. 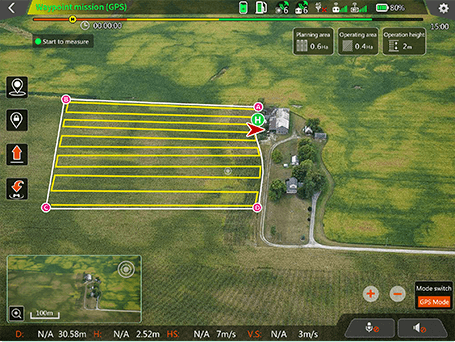 Supports intelligent route planning, and provides APP tailored for agricultural applications. It can provide route planning for non-regular terrain, real-time editing and modification of flight trajectories, intelligent and flexible operation of flight routes, and calculation of spraying area, thereby assisting operators More accurate mastering of medication. 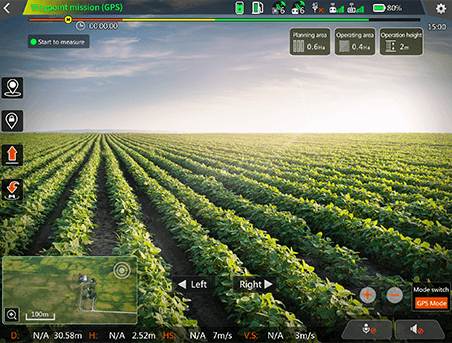 In view of the special needs of agricultural applications, we customize APP and remote controller for the AG15 agricultural plant protection drone, which simplified operation. With monitoring platform, it’s convenient for the pilots to collect statistics, check the progress of operation, operation area, planning operation route and other functions, displaying operation data and flight data at real-time, to make sure the pilots operate the drone correctly. At the same time, the remote control supports uncontrolled automatic return, automatic take-off and landing, intelligent follow up, and can directly set the operating routes for the spraying area on the remote controller. Built in memory function for the spraying area, which is available at A-B point. 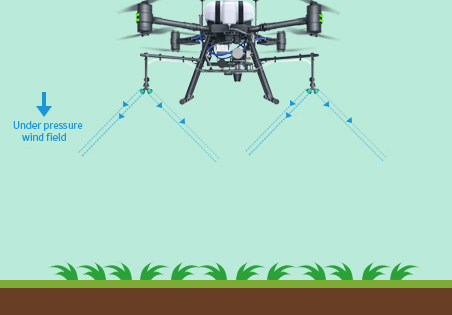 For the special needs of agricultural applications, we have designed a special remote control and app for AG15 agricultural plant protection UAV, which can set the working route according to your own terrain. On the basis of the operation, once we find that the route set by us has been deviated, we can adjust the route according to the terrain again on the APP,the line will not repeat spraying or missing spray. 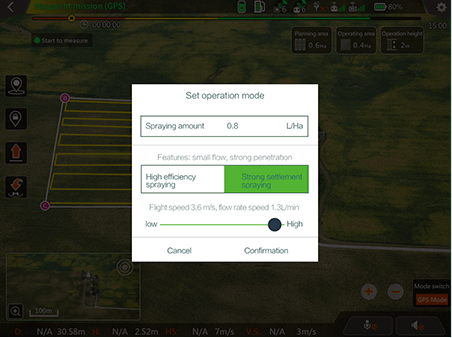 Providing a variety of spray operations can be selected, according to their own spray needs to select the appropriate spray operation mode, can set the liquid volume and liquid volume planning area. Users can customize functions according to their own personalized needs to make you more handy.Using 2.4G/1.4G digital image transmission system, long wavelength, anti-interference (diffraction) ability, stable and reliable transmission, distance up to 3-5 km.